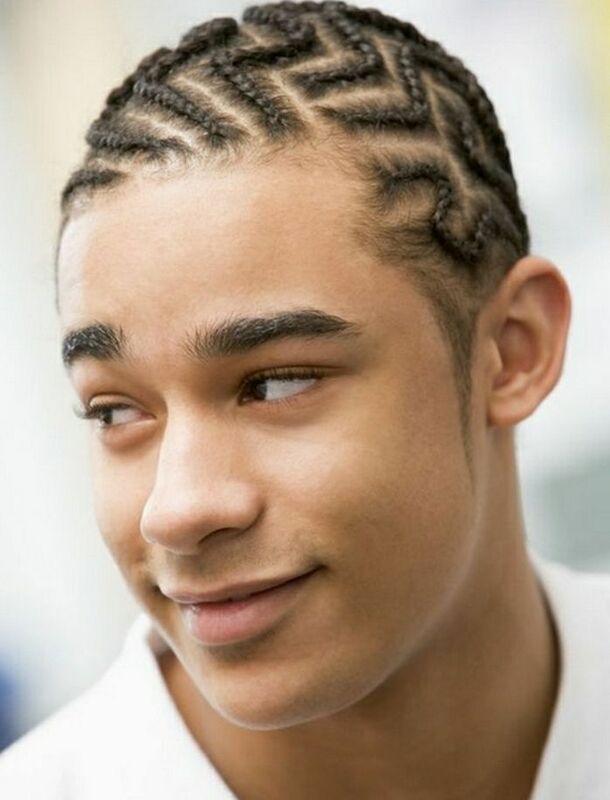 Teenager guys / boys really love to look trendy and cute all the time and that’s why they will always try to look for hairstyles that make them look trendy. In fact, there are multiple teenage hairstyles today ranging from short to long haircuts and curly to straight haircuts hence its upon you to choose hairstyle that will match your hair-texture and face-shape in-order to achieve that great look. 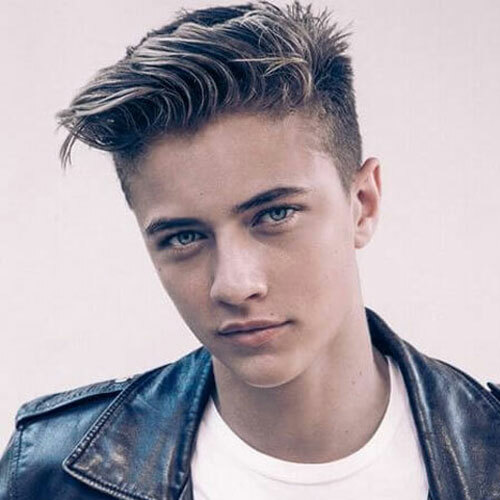 A faux hawk really looks great on teenage boys and even men and this mainly because it bring out that muscular and cut look and even helps to shape-out your face-shape. In fact, this haircut is very easy to style whereby you simply have to apply a good hairstyling product the run your hands through in-order to achieve a messy effect. 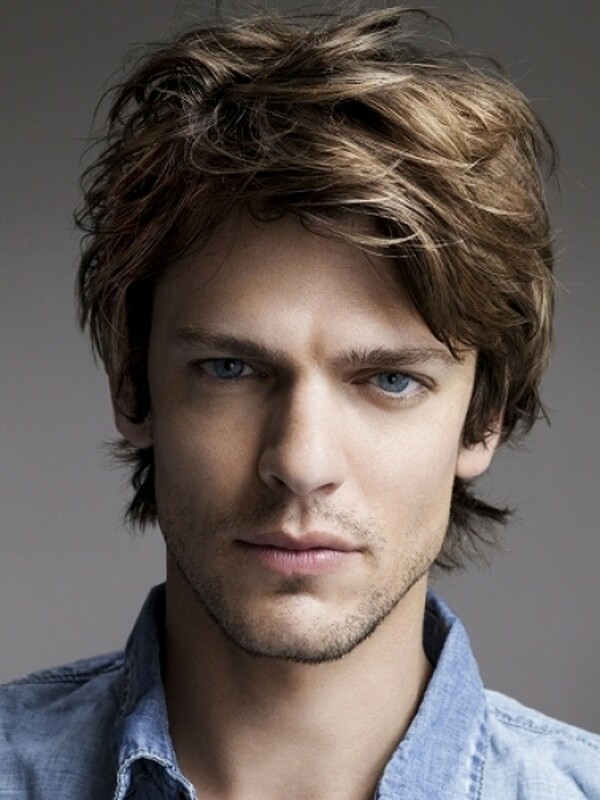 However, this hairstyle will work perfectly for men with naturally wavy or curly hair. Buzz haircuts are the simplest and easiest to create of all teenage haircuts. This hairstyle will look great on any hair-type and face shape because almost all the hair is trimmed off the head. 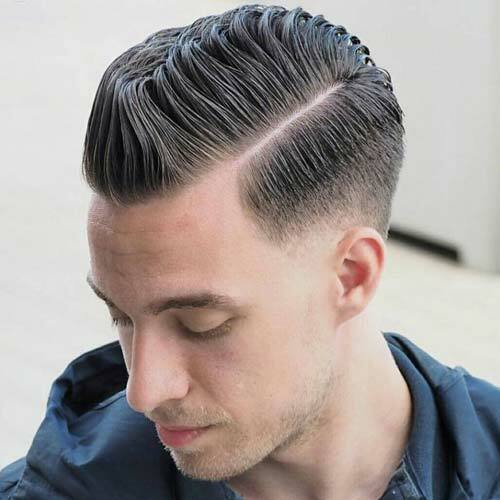 On the other hand, this haircut is very easy to style whereby you will need to just get a trimmer and begin trimming the hair and the top at certain given length and afterwards shave-off all the hair on the sides to achieve that amazing effect. 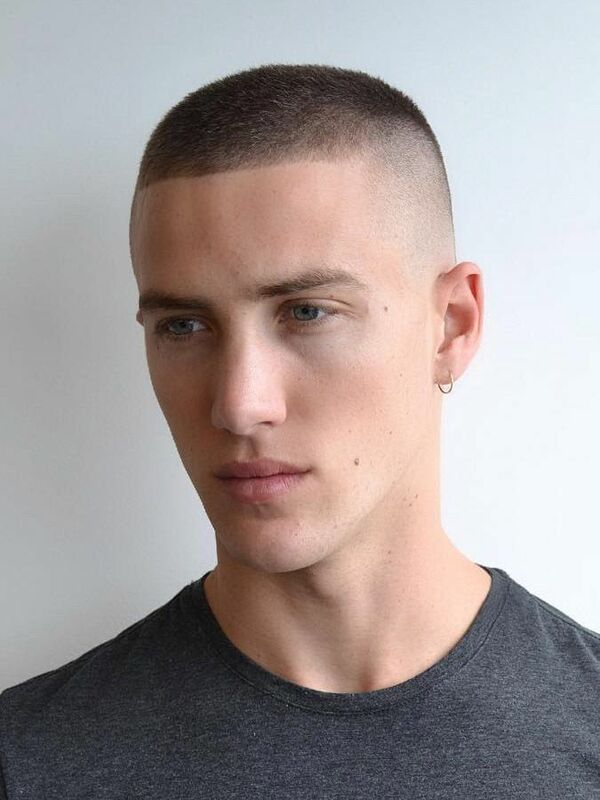 Lastly, this haircut is similar to military haircuts and that’s why most teenage-boys love it. If you have long or square shaped face, then this angular fringe haircut will work perfectly for you. To, style this haircut you will have to trim your hair to a desired length and then apply a hairstyling mousse in-order to make your hair look messy with some volume. 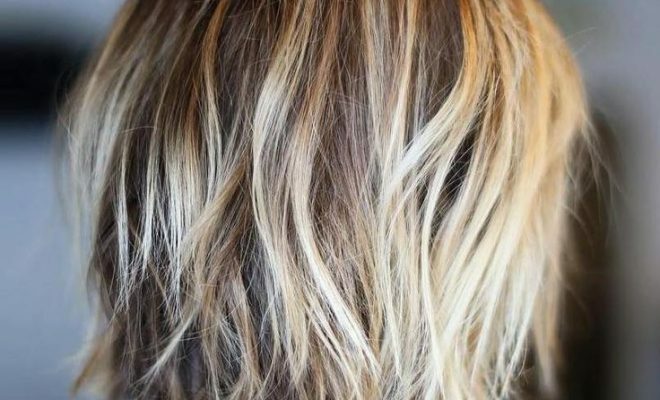 Additionally, you can even pass your fingers through styled hair in-order to achieve a more messy effect then finish by applying a good hold and shine hair-product. 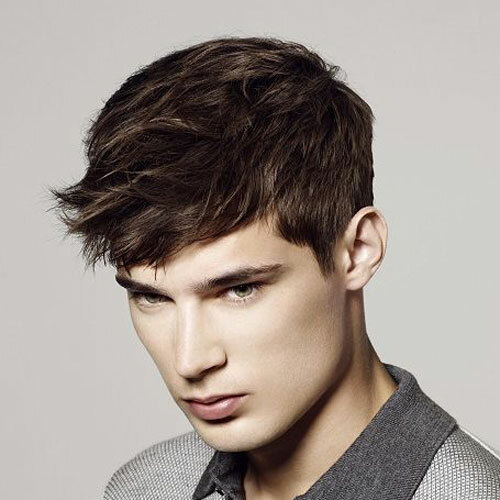 Lastly, this haircut will work perfectly for teenage boys with naturally wavy or curly hair with a thick texture. 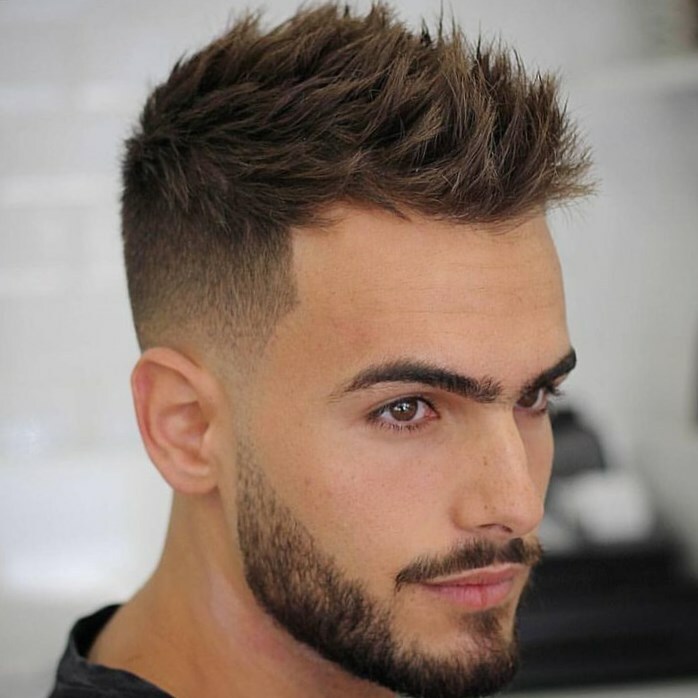 High-fade haircuts really look trendy and will make any teenage boy look great any unique compared to most men haircuts. 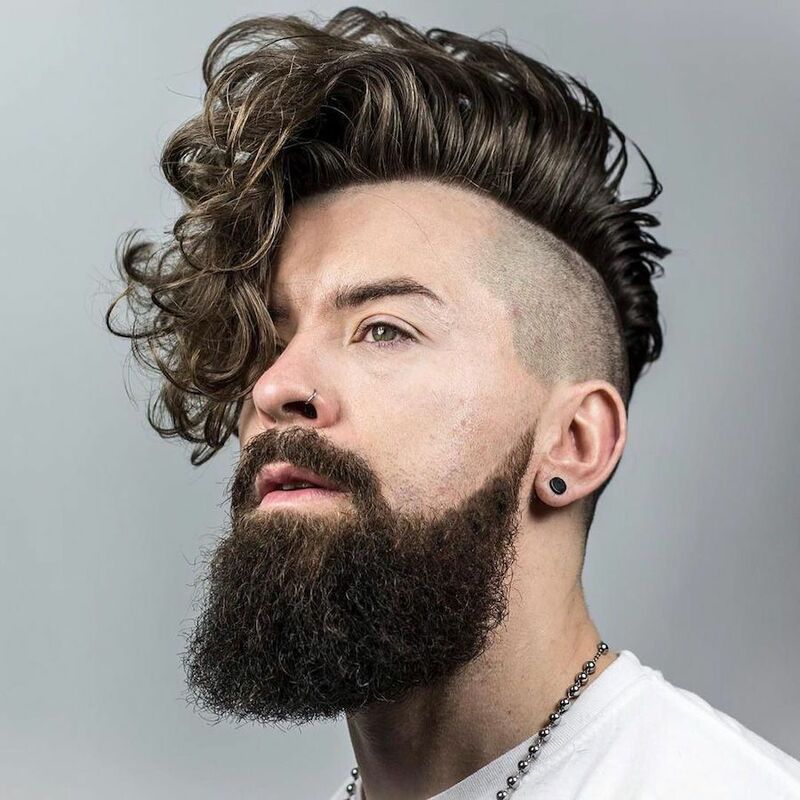 To style this haircut, you will need to grow your hair to a full-length and afterwards trim all the hair on the sides while leaving a full-length at the top. Afterwards, apply a styling-mousse to the hair at the top and then use a wide-toothed comb to brush hair backwards. Pass your fingers through in-order to achieve a messy or tempered effect with great volume and you will finish by applying a good hold and shine hairspray to your haircut. High-temple fade haircuts can make any teenage boy look cute and masculine. However, this hairstyle works well for men with a naturally wavy or curly texture but you can also achieve it if your hair is thick or fine. On the other hand, styling this haircut is a bit hard to style whereby it will require you to first grow hair to a certain length and then all the hair on the sides then apply a styling mousse to the hair at the crown. Afterwards, get a wide-toothed brush to brush your hair upwards in-order to achieve the spikes then run your fingers through to achieve that messy texture appearance. Lastly, you should apply a hold and shine spray to hair in-order to keep it in shape and looking great all-day. 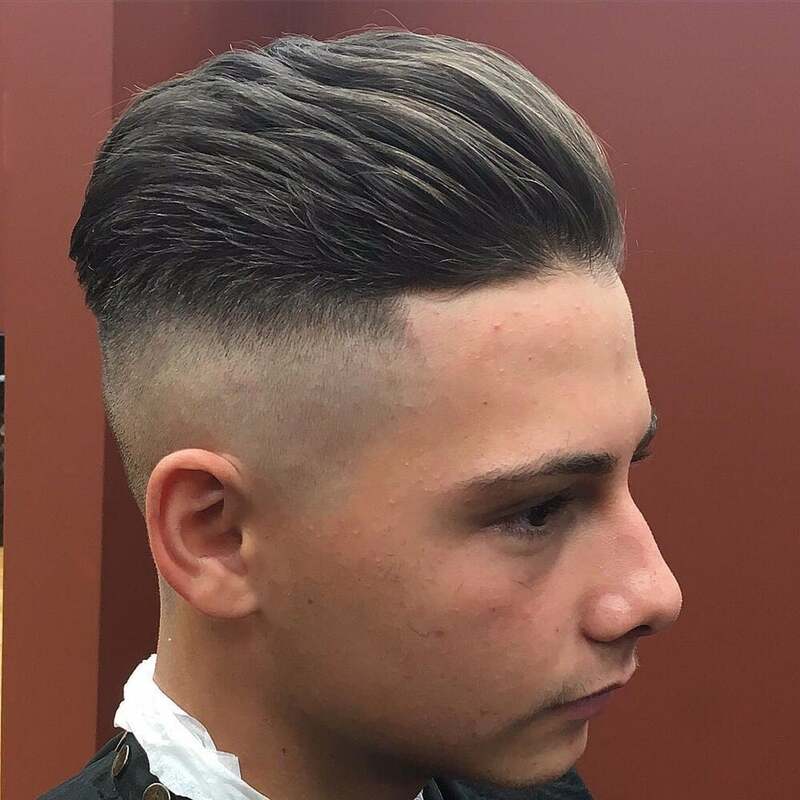 This low fade haircut looks really classic and elegant and will work perfectly for teenage boys going for any important function like Prom-parties. 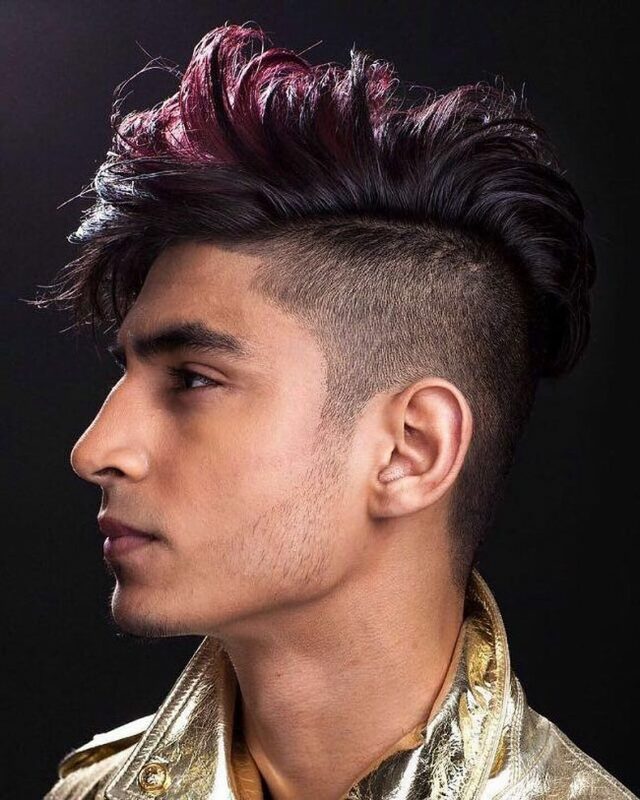 To style this haircut, you will have to grow to desired length then slightly trim the hair on the sides into a fading effect then create deep side-part that divides the hair on one-side with that at the crown. Afterwards, apply a good hairstyling gel and then use a hairbrush to style to hair backwards and sleek. 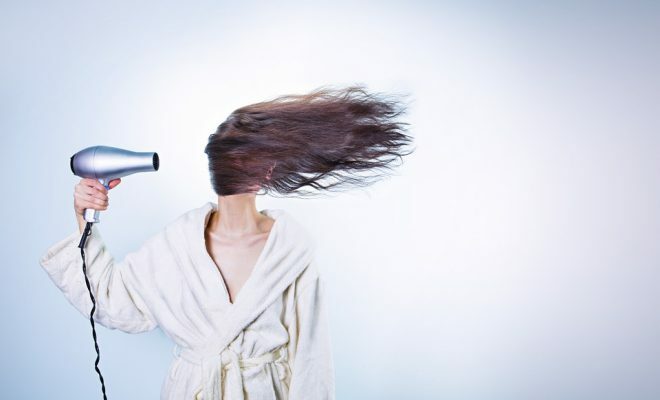 Additionally, add some texture to hair in-order to give it volume then finish by apply a hold and shining hairspray. Messy tousled haircuts are very easy to create whereby you just have to grow-out to a certain length then apply a hair-mousse throughout. 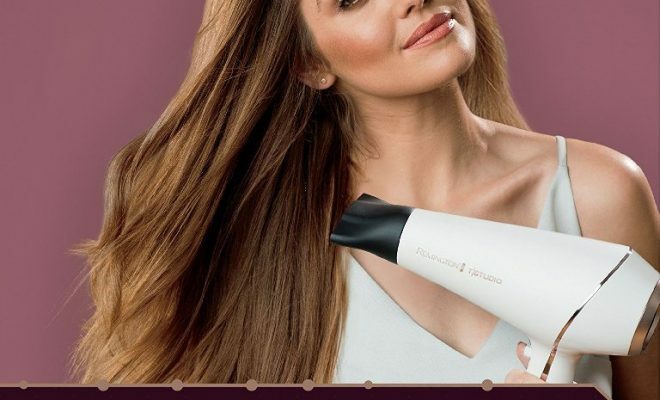 Afterwards, run your fingers through hair to achieve a tousled look and finish by applying a hold and shine hairspray to achieve long-lasting results. 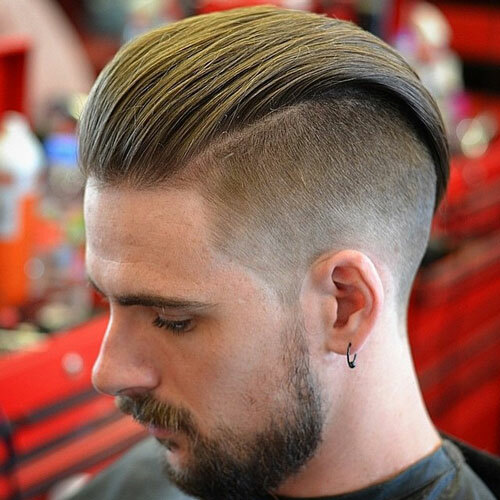 Lastly, this haircut will perfectly for men with long and square shaped-faces but may not look great on people with round-faces. The cute haircut above will require you to over-grow hair at the top then trim the hair on the sides to a desired length. Afterwards, you should apply a styling a mousse to the hair at crown then use a wide-toothed brush hair upwards. Finish by applying a hold and shine-enhancing spray all-over hair in-order to achieve long-lasting. All in all, this trendy haircut will work perfectly for teenagers with round, square and long face shapes. 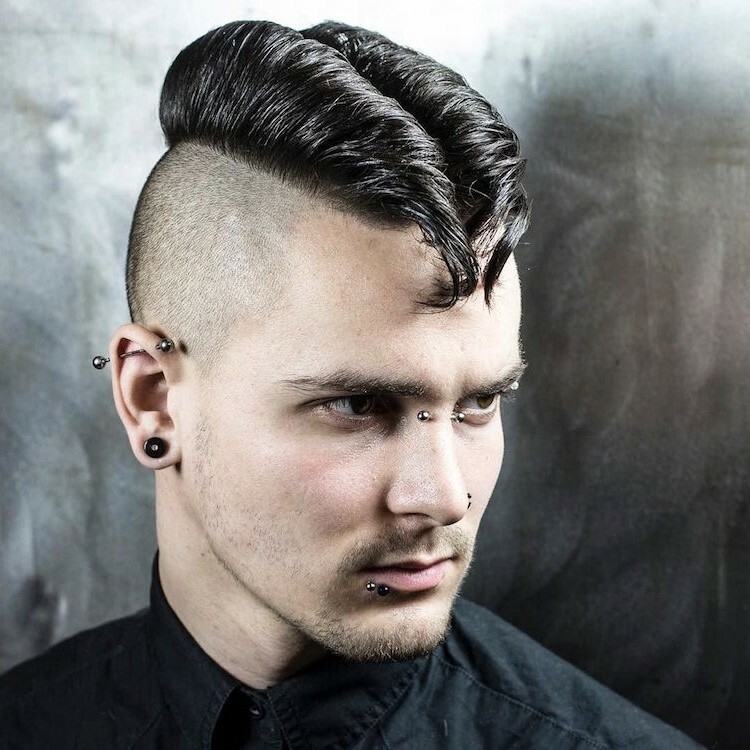 This man is featuring a cute Mohawk with a long curly fringe and clean-sides. 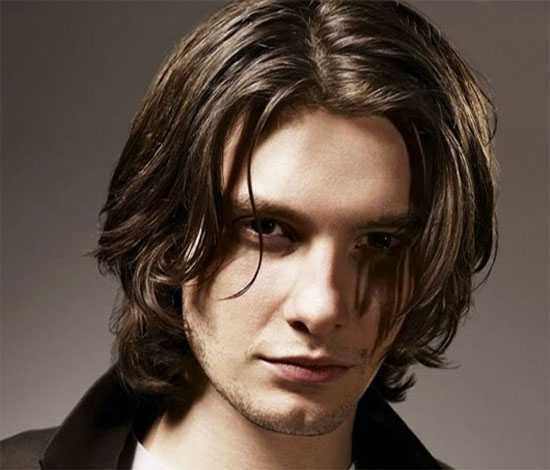 To achieve this haircut, you have to over-grow your hair to desired length then trim-off all the hair on the sides. Afterwards, apply a hairstyling product to the hair at the top and then grab a good curling-wand in-order to style your hair into amazing curls then leave some curls to fall below your forehead in-order to create an amazing fringe that looks trendy and unique. This undercut hairstyle will make you look trendy and out of this world but it’s not easy to style whereby you will need some help from a professional-hairstylist in-order to achieve great styling results. So, you will need to first over-grow your hair then trim all the hair on the sides. Afterwards, apply a hairstyling cream and then use wide-toothed brush to style hair backwards and finish by applying a hold and shine-enhancing spray. 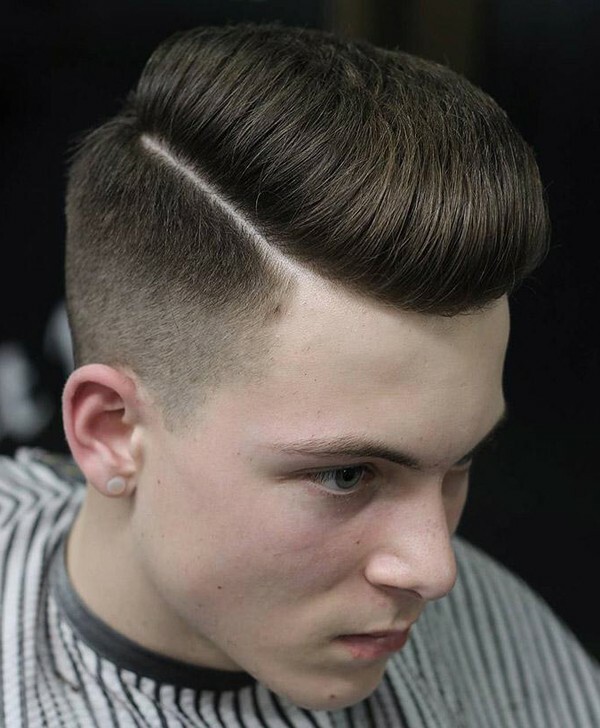 Pompadour haircuts are very common amongst teenage boys today mainly because it offers a cute and masculine look. 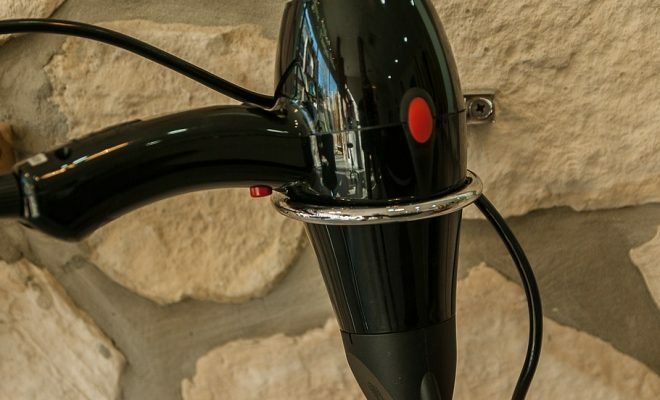 The Pompadour featured really looks modern and will attract any lady whether you’re at school or workplace.